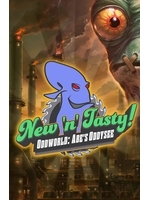 As promised earlier, here are a bunch of homemade videos of the PC version of Oddworld: Abe's Oddysee - New 'n' Tasty, which will be available on Steam on Wednesday. Just Add Water did an excellent job so don't lose time and check out our six 1080p/60fps videos. Enjoy! 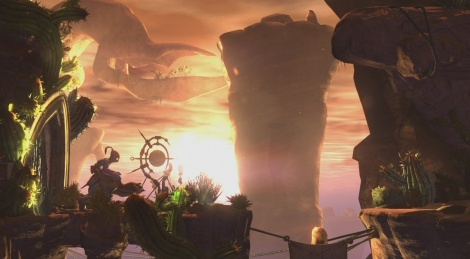 Note: Xbox One and PS3 versions should be released in March. Haha! That Scrab chase is classic! The game looks gorgeous! I hope this generation of gamers enjoys it as much as we did back in the day. I was dissapointed when I saw that the Sligs doesn't kill you in one shot but they need to empty a full magazine in you, also adding their line of sight and infinite stones to trow is kinda of lame, it adds more fuel to the never ending debate of how they are dumbing down games. And this isn't a level design complain, it's more like a personal taste one, but I don't like the camera angles and above all miss the old color palette, the only thing that reminds you now the grim and odd atmosphere of the original is the soundtrack. Loved the first original 2. Had them both on my PS and last year i bought them on steam again. When i heard the where gonna do i remake i was stoked !!! But this completely ruins the atmosphere the first 2 had. Maybe them hippy developers used too much acid during development and choose them groovy colors over the bleak and depressing original colors . Yeah, without being too harsh, I also miss the old color palette. On Hard, the difficulty is the same as the original (one hit kill). And you don't have infinite stones, but infinite bottle caps, to distract sligs. You can't use the caps to destroy mines.